How to get there: If u r facing Jaipur on NH8 at Rajeev Chowk Crossing, turn right. Keep going straight tiil the road narrows down. U travel thru a disgusting narrow stretch of approx 50 meters & again the road widens. At this point u see a Lord Shiva’s idol in the road divider. 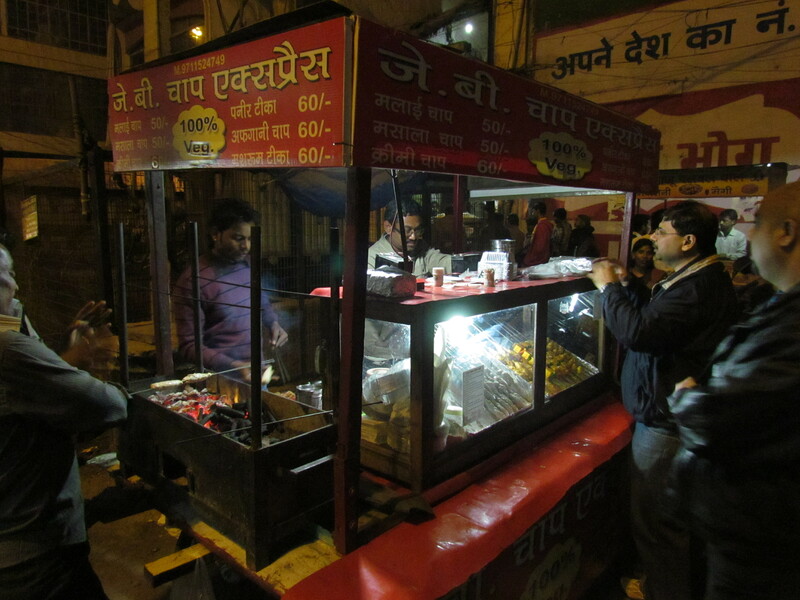 Park the car here in front of the shop called Delhi Chaat Bhandar & look for the Thela (hand cart) that reads JB Chaat express. 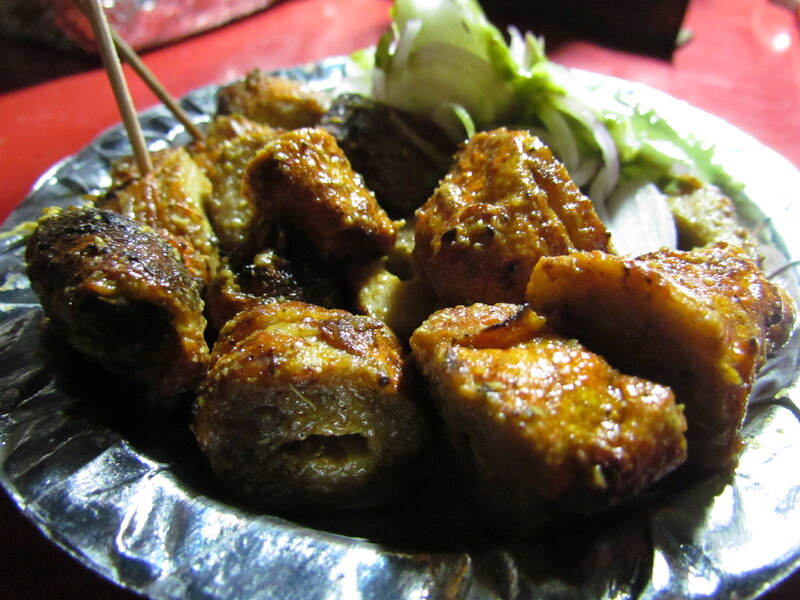 I am not a big fan of meat substitute but this little thela (hand cart) in Sadar Bazar, Old Gurgaon changed my perception. The owner is a very sober & nice person. His passion was evident in the food he was serving. 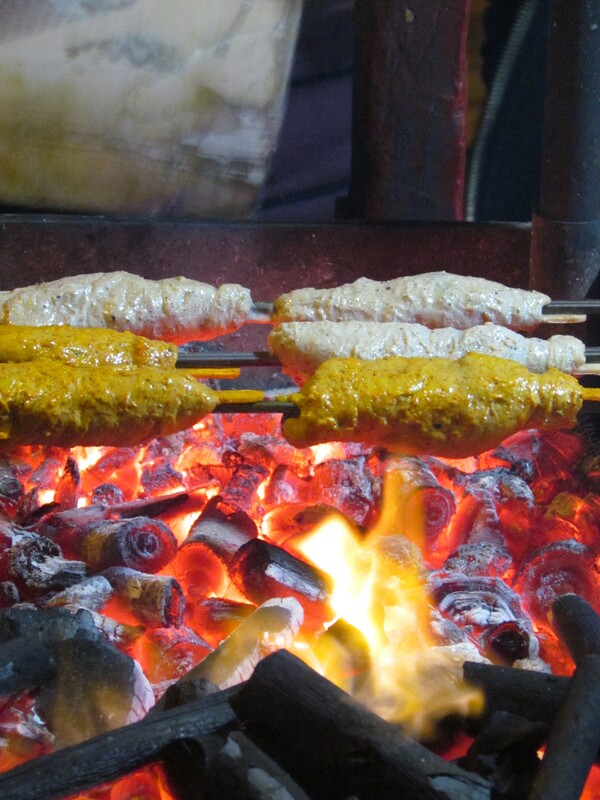 Though he has two assistants who help in the barbeque, he is the one who does the final finishing to the food – He wud also give u choice on the level of chatpata that u want. 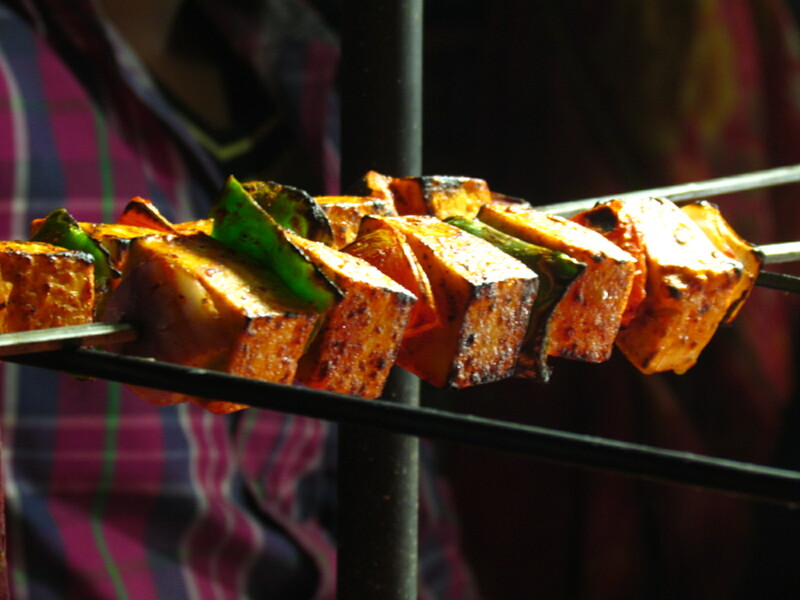 The food on offer is two varieties of soyabean chaaps, tandoori mushroom & tandoori paneer (paneer tikka). The marinated food stuff is displayed in a glass counter in the hand cart. The roasting starts post u place the order. Nothing is ‘made & reheated’. 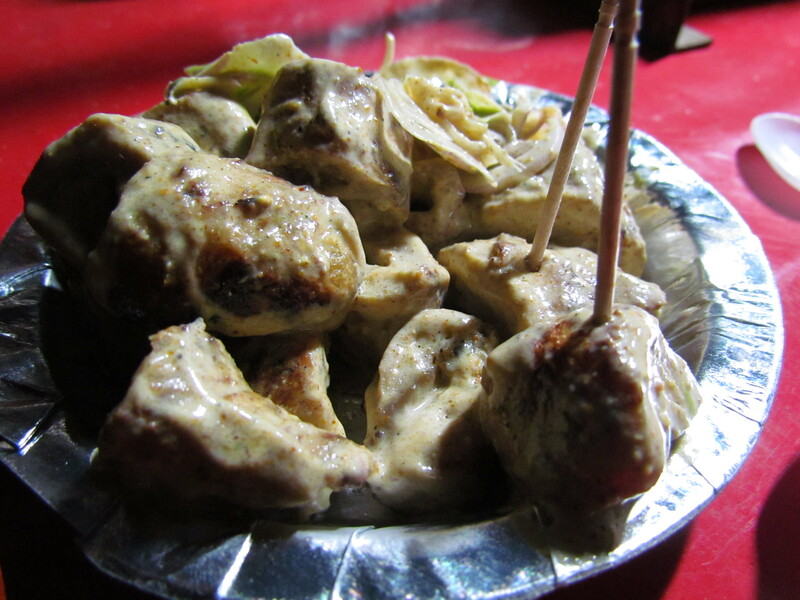 Taste was good for the two varieties of soya based Chaaps that we had – the malai & the masala version. The malai was surely much better. Meat eaters might have an issue with the texture of the chhap as this tends to be a little ‘slippery’. This grows on u though & I have seen my vegetarian friends drool over this. 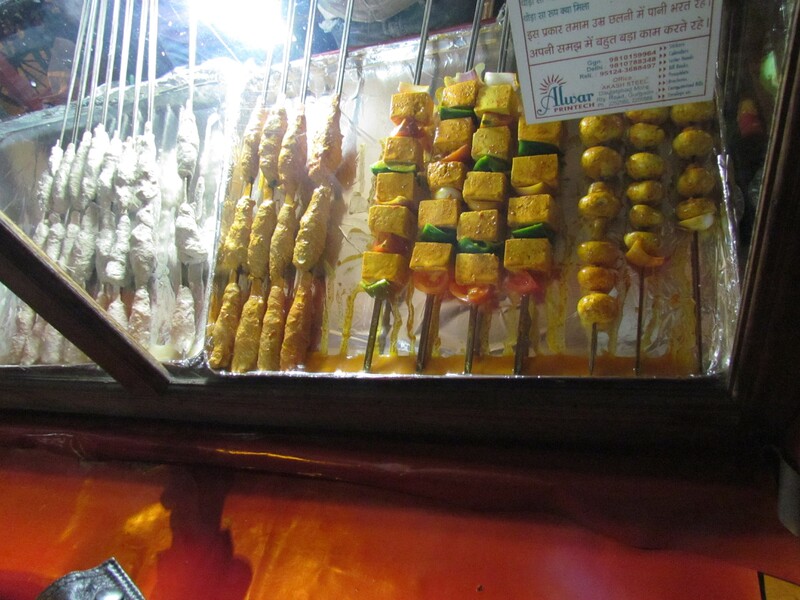 Day 1 we were full & so we Planned to go back to try the Paneer tikkas that looked so YUMM…………. & yes, we were not dissappointed. Paneer tikkas are just rightly done, charred corners but not too much, chatapata masala, soft paneer (not the softest I have ever had though) & very enjoyable. Ok, will try to ask next time I am there. I assume you must be the relative of J.B. chaap. Thats the worst chaap i had after reading your reviews. the guy is a thelawala. I have desxribed his location. Kindly check in the post. I assume you must be a relative of J.B chaaps. He makes the worst chaaps i ever had in my life. Whosoever posted this greatness about jb chat is not aware how chapp tastes.